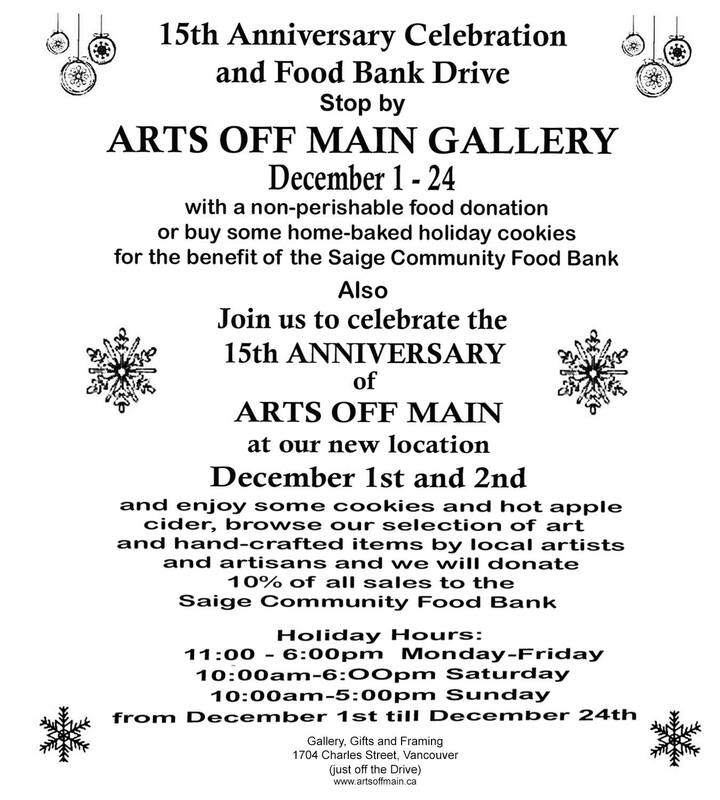 Hosting their 15th Anniversary food drive and art sale December 1-24 @ 1704 Charles Street their NEW art space! 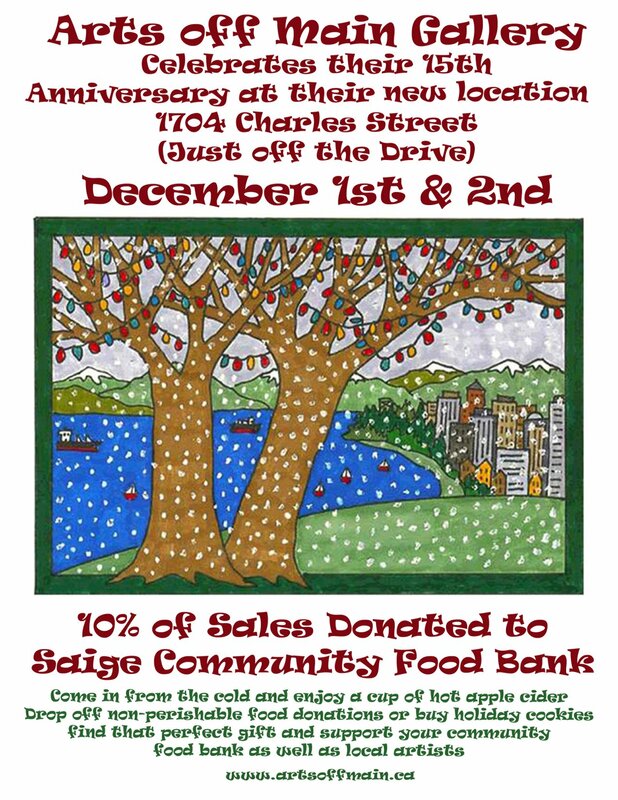 10% of sales will benefit the Saige Community Food Bank. Come in for a cup of hot cider, buy some homemade holiday cookies and find some amazing presents. 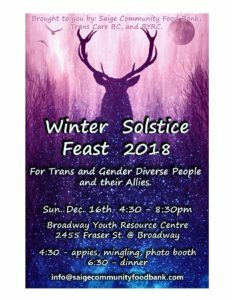 Tran, Two-Spirit and gender diverse community meal by Saige Food Bank and Community Kitchen. A 3 course meal made and shared by our community. 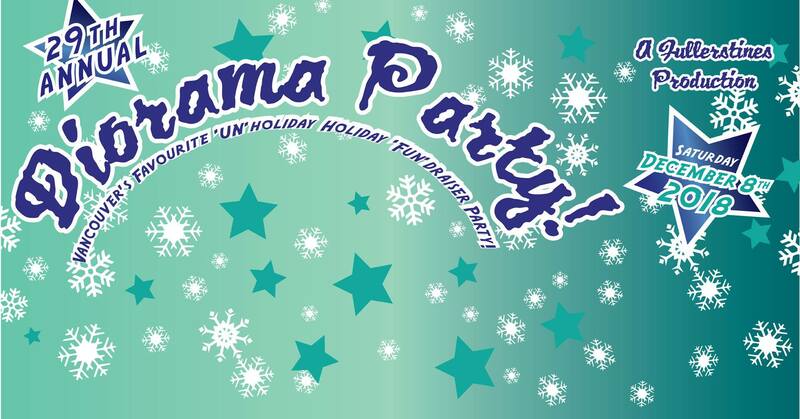 With live music, photo booth, socializing, decorations, prizes, grabs bags and more. 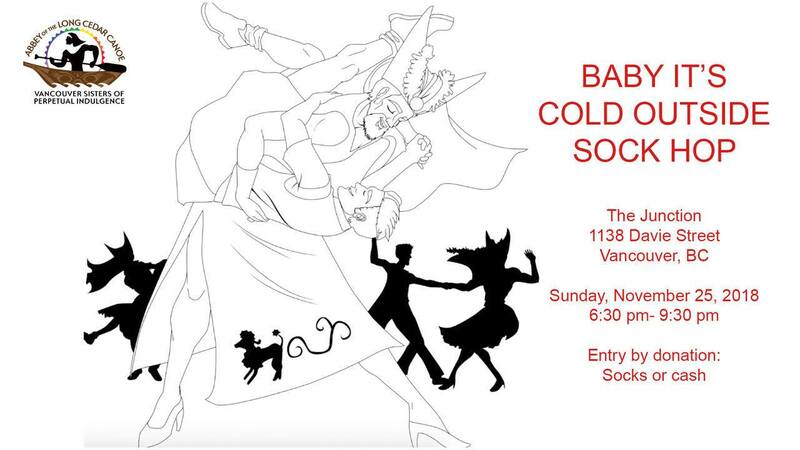 Come out and celebrate another year amazing and caring community members. Sunday, Dec 16th. 430-830. 2455 Fraser Street. Joined by a slate of live performances of all stripes from singing to burlesque to drag, the event has grown & evolved over the years…out of their apartment and into an annual nightclub variety show which has raised thousands of dollars for charities! 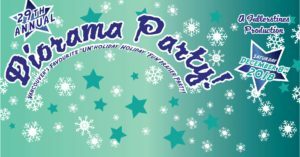 The 29th Annual DIORAMA PARTY 2018!!! Doors open @ 6 pm; World famous show @ 7 pm SHARP! LIST OF PERFORMERS TO FOLLOW!!! 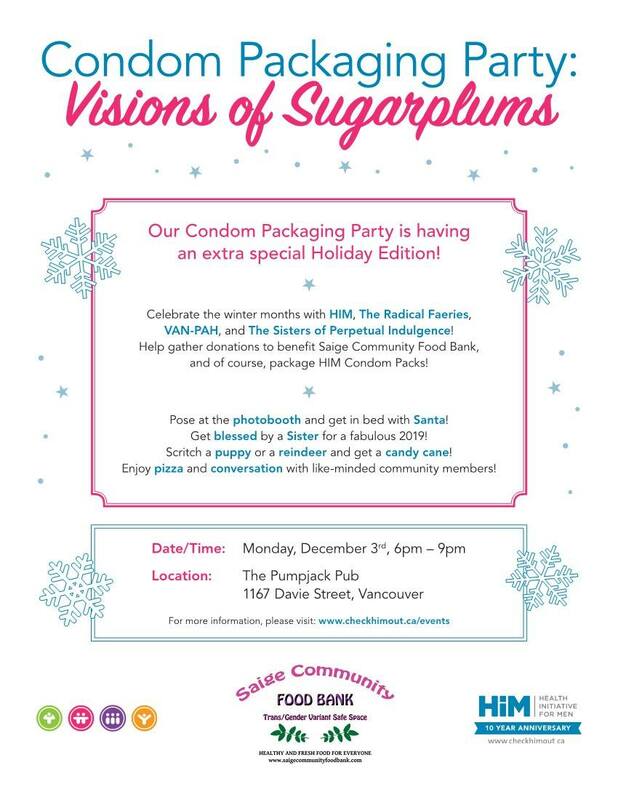 DONATIONS of toys and toiletries on behalf of the Downtown Eastside Women’s Centre will be gratefully accepted. 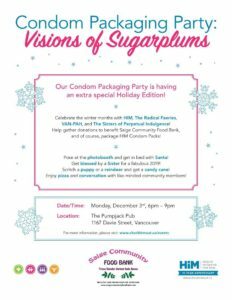 Come out on Monday, Dec 3, 6 – 9pm at the Pumpjack Pub for condom packaging and holiday festivities hosted by Health Initiative for Men (HIM) and their friends! 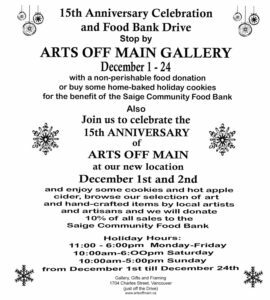 Food and clothing donations to benefit Saige Community Food Bank. Foods – Canned meats, nut butters. Clothing – gently used scarves, toques, gloves. New socks! 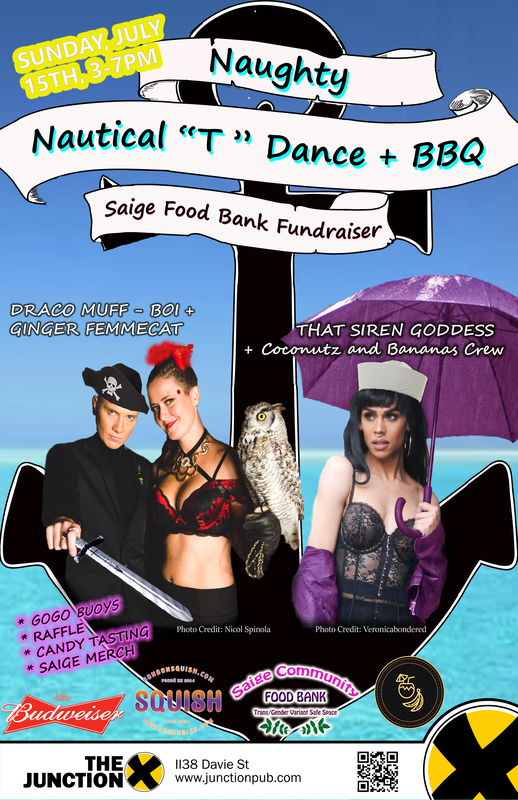 The Naughty Nautical “T” Dance and BBQ fundraiser. 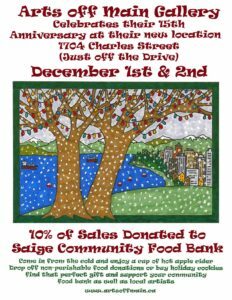 Come support Saige Community Food Bank raise funds to get a new van! Sunday, July 15th, 3-7PM. The Junction, 1138 Davie Street. 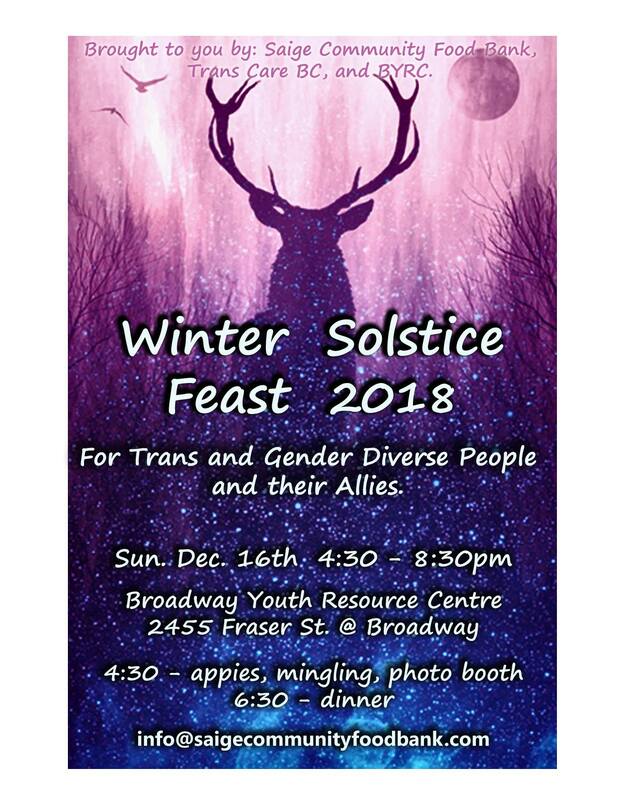 A drop in Community kitchen that is a safe space for trans and gender diverse people and their friends, partners, and allies. 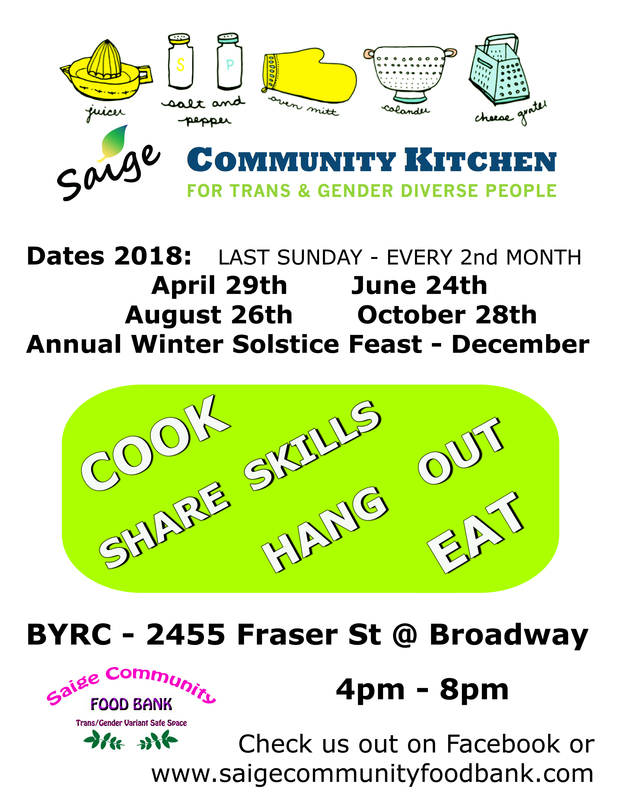 Come out to cook some healthy food, learn to cook on a budget, meet some great people, socialize with your community and acquire some great skills in the kitchen. If you don’t feel comfortable in the kitchen but would like to share a meal, there is a seating area to socialize, do art or play games. Our meals are usually vegan and gluten free whenever possible but also usually also have a meat option cooked separately. We try to comply with allergies and sensitivities when we can as well. 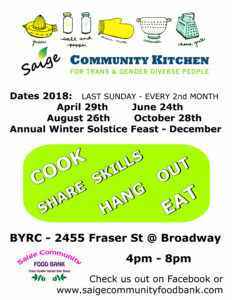 All our meals are based on donations from our other sister organization Saige Community Food Bank and are cooked from scratch with creativity and as health conscience as possible – except for dessert! Reminders: wear closed toed shoes, bring a hair tie if necessary, remove jewelry from wrist down, bring a take home container and an appetite! We make extra for folks to have a take home meal too. Also there are usually toiletries and snack donations that we hand out to our guests. A kitchen brings family together….. it’s just how we roll! The BYRC is a one-stop youth centre that provides a wide range of social, health, education, employment, and life skills services to youth. It is a multi- service and multi-agency hub with a range of services for youth all under one roof. Space is wheel chair and scooter friendly.